Silicon Motion's SM2246EN SSD controller was a highly successful solution for SSDs using MLC NAND flash. It offered a great combination of power efficiency, solid performance, and low cost. Last year we got an early look at the successor SM2256 controller for drives using TLC NAND and found that despite being made for TLC it didn't do a very good job of mitigating the performance and power consumption problems inherent to TLC NAND. At the time there were only a few mainstream TLC drives and the SM2256 was one of the first controllers designed specifically with TLC in mind. That preview was based on a reference design drive using Samsung 19nm TLC and prerelease firmware, so we were hopeful for improvement in final retail products that would be using different NAND and firmware. In November we looked at the performance of the Crucial BX200 based on the SM2256 controller and Micron 16nm TLC NAND, and we found that the situation had gotten much worse: performance was bad and power consumption was high. In the meantime, Phison's S10 controller (and Toshiba's custom branded variant of it) became the most popular solution for TLC SSDs and the market was flooded with nearly-identical drives from new and old players in the market. 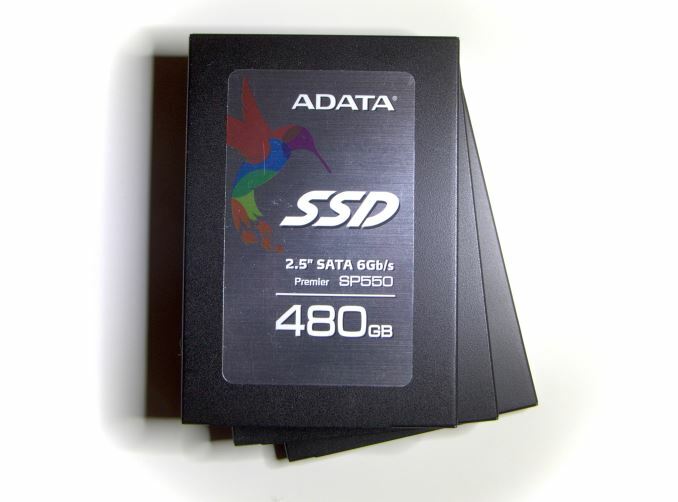 That brings us to today's review of ADATA's Premier SP550 SSD. ADATA manufactures drives with almost every controller available on the open market, and the Premier SP550 is their SM2256 offering. ADATA has in turn positioned the drive as the entry-level model of their mainstream consumer Premier product line. 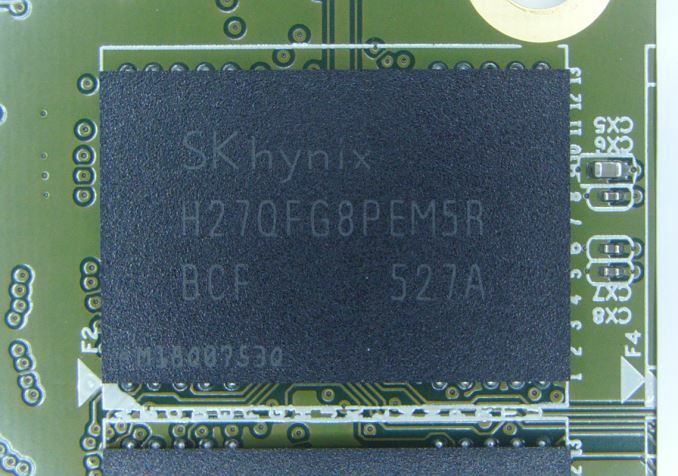 Meanwhile with a different choice of flash (SK Hynix 16nm TLC NAND) and updated firmware, the SP550 has the chance to partially redeem the SM2256 controller. With pricing starting at $39 for 120GB and even the 480GB model staying under $0.25/GB, the pricing is a good start, as the SP550 has consistently been one of the cheapest drives on the market. No TLC drive has yet reached a price low enough to completely excuse its shortcomings relative to MLC drives and earn an unconditional recommendation, but at least the SP550 has kept pace with the price drops in recent months. Its primary competitors are Phison/Toshiba-based SSDs with Toshiba's A19nm TLC, as their successors based on Toshiba's 15nm TLC are still new enough to the market to be selling for higher prices closer to the MSRP. This means we'll be looking at the OCZ Trion 100 as the most likely alternative, though similar drives from Silicon Power and PNY are available in the same price range and newer drives like the OCZ Trion 150 may match its price it in the near future.